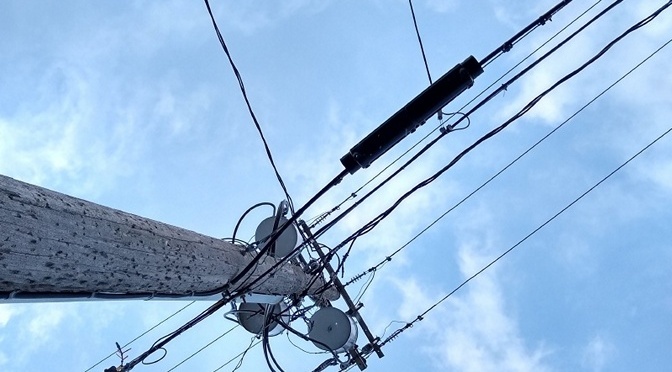 With my renewed interest in photography, I got to thinking I wanted to do a photo series that could fall under the umbrella of cablepunk but not be part of the conceptual cablepunk photo series previously established. 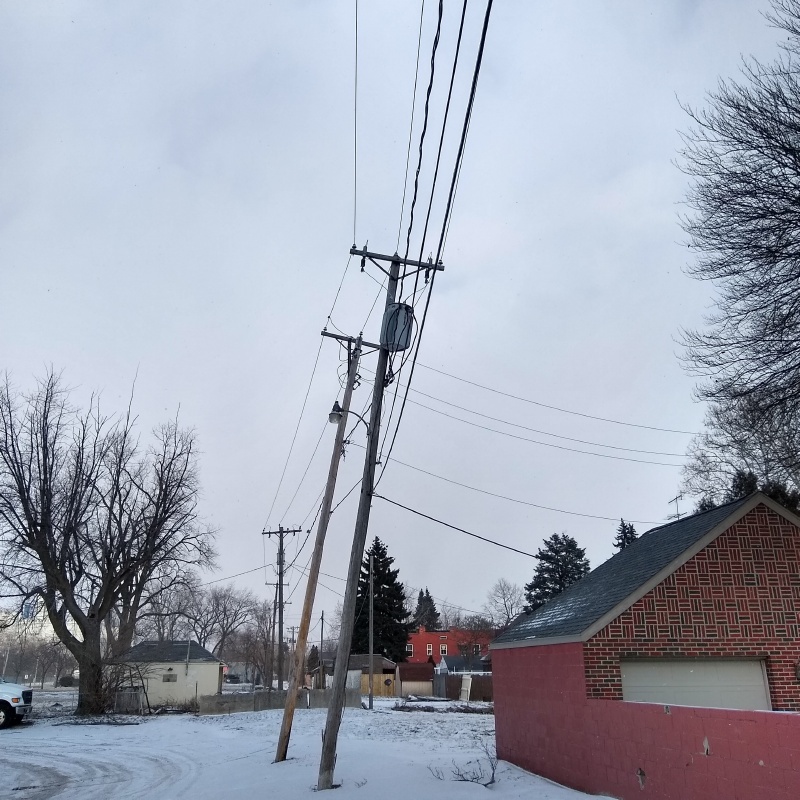 A trip to Tony Packo’s for their $2 Hungarian hot dog special every Tuesday gave me just the inspiration I needed to begin this new series focused on power lines. I had previously prepped my Canon PowerShot SX30 IS to be ready to shoot widescreen photographs in B&W. However, I didn’t have that camera with me when I stopped at Packo’s that particular Tuesday. Instead, I had what we all have, and what has partially made me lazy when it has come to photography this past decade: my smartphone. In my case, that’s a Motorola Moto G6. 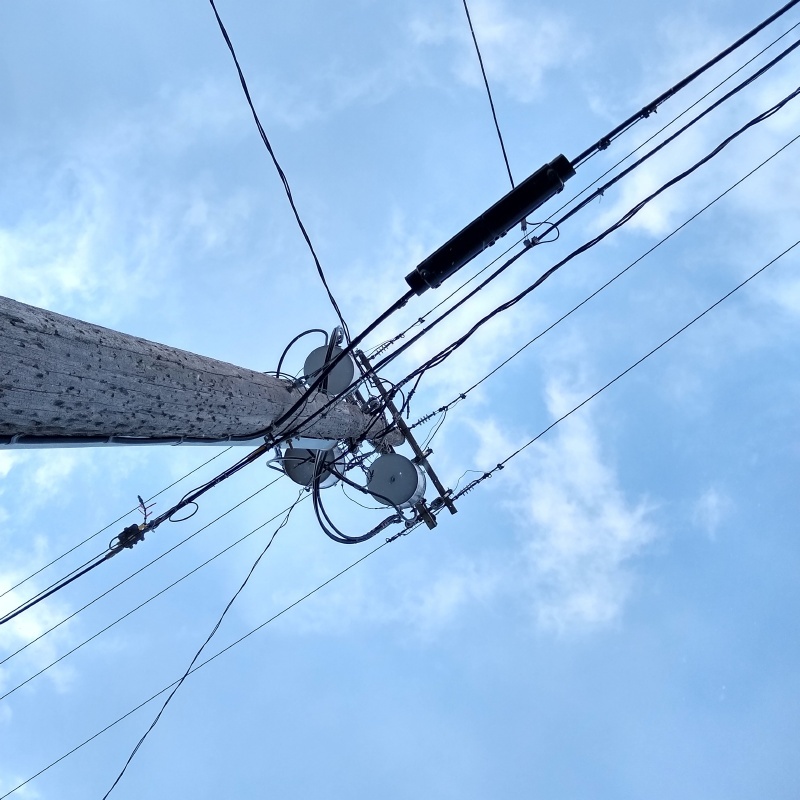 So, I whipped out my smartphone, took a few pics of the power lines behind Packo’s and, shamefully, later posted the one I liked best to Instagram, thus perpetuating lazy photography in the second decade of the 21st century. A week later, I would go on to post two photos from another Tuesday trip for $2 hot dogs, the first for which I even used an Instagram filter. I am not proud. What I like about Instagram — and what I vaguely remember tweeting about what I liked about Instagram six years ago — is the square format of the photographs. My first camera was a Kodak Instamatic X-15F which shot on the square 126 film, so that’s where I began, and that’s probably what keeps pulling me back to Instagram. However, after over a decade of social media use beginning with MySpace in 2007, I’m tired of it. I’d rather showcase my photos here where they’ll certainly get less exposure, but where I won’t be concerned about likes and comments and the whole hullabaloo. Starting out, I’m keeping that square photograph format made popular again by Instagram, but its usage has more to do with remembering my origins taking snapshots with my Kodak than any current connection to the Instagram app. 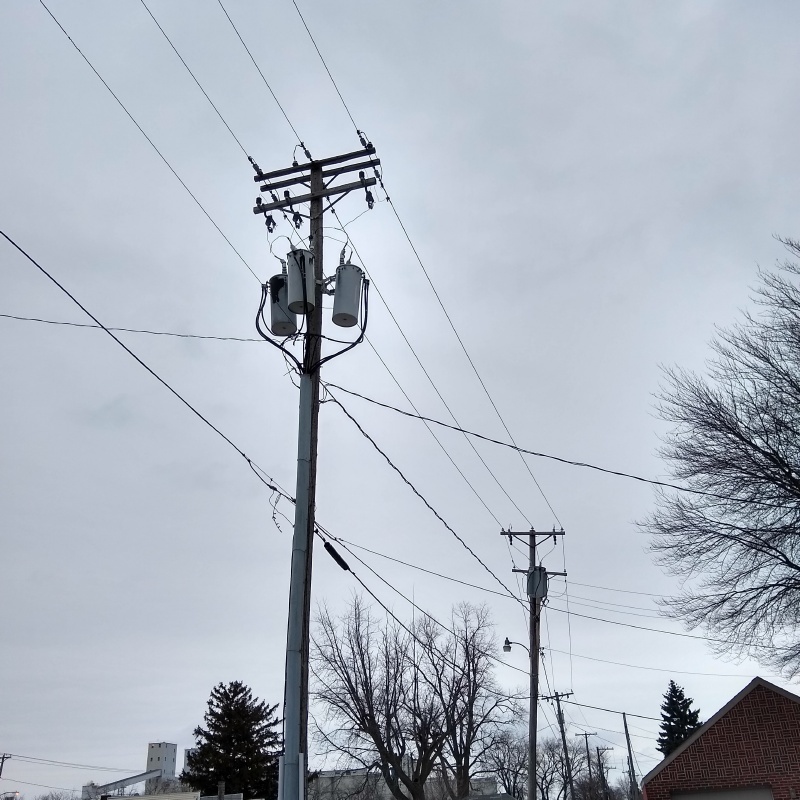 So here they are: the first three photos of my new Power Lines series. I have locations chosen for a second and third set, but as my priority is writing Grimm MOBA, they will come when they come. Still, it’s good to be seeing the world with a photographic mindset again, and I hope you enjoy the work I produce.